The ACP1 is a pixel based image processor optimised for automotive and machine vision applications. 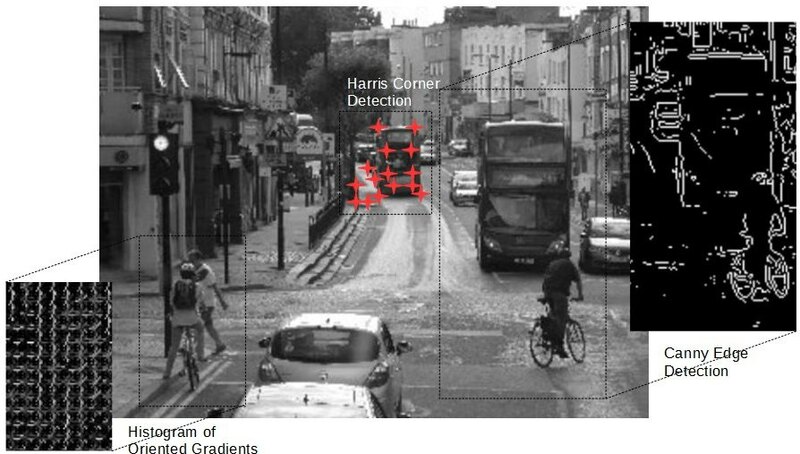 It offloads the repetitive per pixel processing that is characteristic of the early and middle stages of many image processing applications. The processing is performed using a core that is as small as a hardwired unit, but with the flexibility of a fully programmable processor. 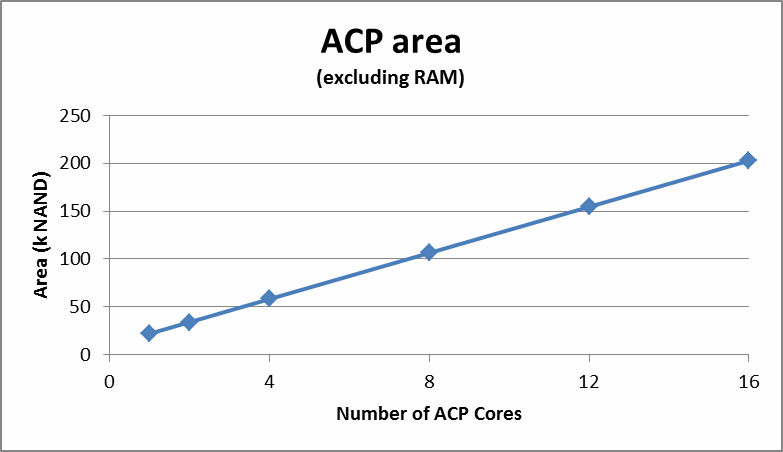 Due to the image processing specific architecture of the ACP1 core, almost 100% efficiency is achievable. This results in higher performance, lower area and lower power than traditional solutions. The ACP1 can operate on entire images at once, or process lines as they are obtained from the camera reducing latency and memory space. 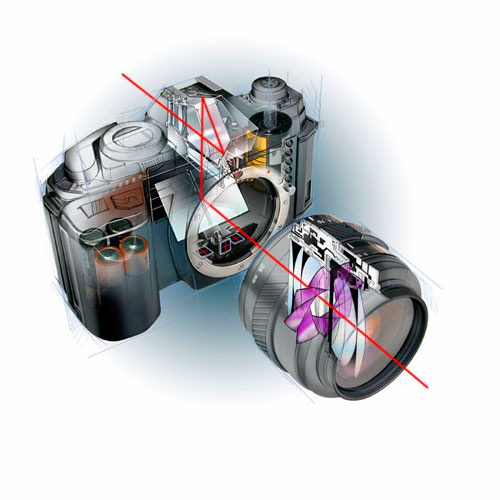 The ACP1 can be configured with a number of cores, operating on parts of the image in parallel. 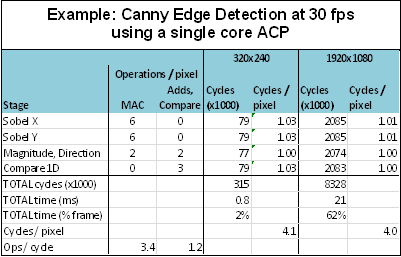 The table shows the cycle times for the various stages of a Canny Edge Detection algorithm for two different sized images. The two graphs below show the percentage of a frame taken to perform Canny, and Harris Feature Detection. Idle cycles may be used for other operations to further increase performance and efficiency. The ACP1 represents the ultimate efficiency for pixel based image processing. ACP1 cores are available NOW. Contact AptCore today for further information.